It’s always been clear to me how important forms are to our system. They seem to anchor many of the drills and basics that we do. Since the “Mo” forms (Mo Yut Do, Mo Yee Do and Mo Sam Do) were made by Professor King, I wanted to pick Professor’s brain on the “Mo” forms specifically and more generally what role forms play in our system. What follows is our email exchange. For ease of reading, my questions are in regular text while Professor’s responses are in italicized text. Let’s start with the creation of the three Mo forms – Mo Yut, Mo Yee and Mo Sam do. What was your reason (or reasons) for making forms unique to the system of Mo Duk Pai? 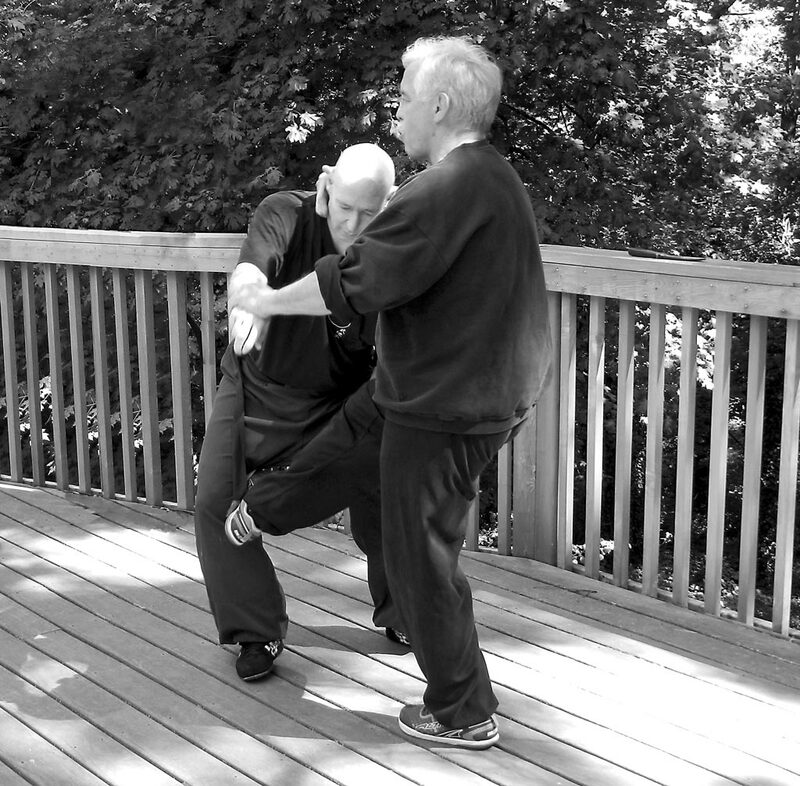 So the forms would focus, in an exaggerated fashion, basic principles of self defense that are then integrated into practical physical and mental actions in a systematic manner..
What’s the primary idea you’d like to see students get from Mo Yut Do? Mo Yee Do? Mo Sam Do? You are asking for a singular point of reference or idea. I’m afraid it’s not quite that simple nor are the forms built that way — but, if I have to pick one idea only then here they are. For Mo Yut Do: Connection between breathing and — relaxing and tightening. Mo Yee Do: Development of power with alignment. Mo Sam Do: Connecting all principles for use. Another installment from Professor’s forms library. This is Professor King doing the form “Lim Po” in 1979, “Lim Po” translates to “continuous step”. As the name implies, the form is meant to be smooth – providing the student with an opportunity to drill their fluidity. There used to be a form in the system called “Hau-Kuen”. Though it isn’t taught anymore to students, it should be a great blast from the past for both those who knew it and those who didn’t. This is Professor King doing the form in 1979. And if anyone wants to re-learn it and then teach it to the rest of us… that’d be fun. You could call it the “lost forms” class.